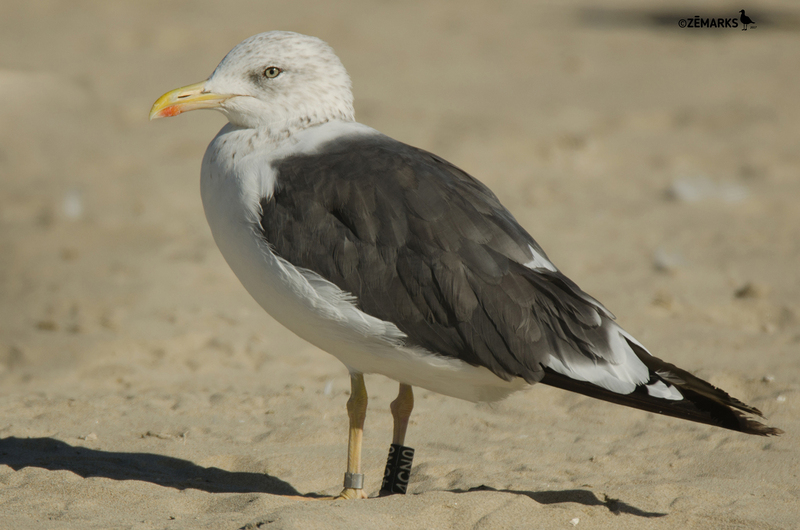 Lesser Black-backed Gull graellsii 4CN0 2CY-4CY, March 2015 - October 2017, Matosinhos beach, Matosinhos, Portugal. Picture: José Marques. 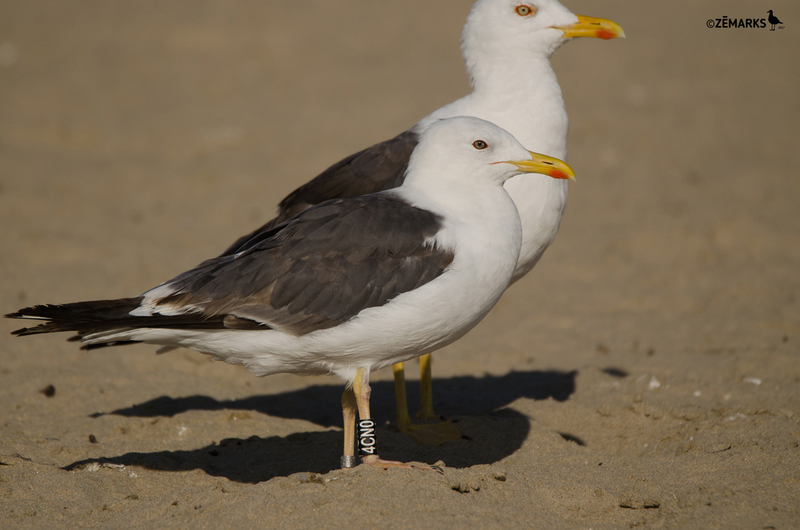 below: Lesser Black-backed Gull graellsii 4CN0 4CY, October 02 2017, Matosinhos beach, Matosinhos, Portugal. Picture: José Marques. P6/P9. Slow moulter, when compared to August observation. below: Lesser Black-backed Gull graellsii 4CN0 4CY, August 31 2017, Matosinhos beach, Matosinhos, Portugal. Picture: José Marques. 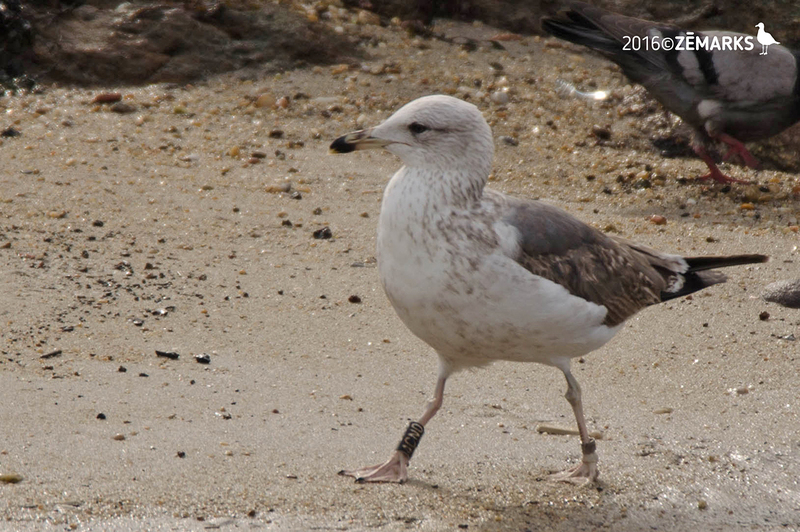 below: Lesser Black-backed Gull graellsii 4CN0 3CY, October 06 2016, Matosinhos beach, Matosinhos, Portugal. Picture: José Marques. P8/-. P9 at P5. Note brown vermiculation on several coverts and lower tertials. 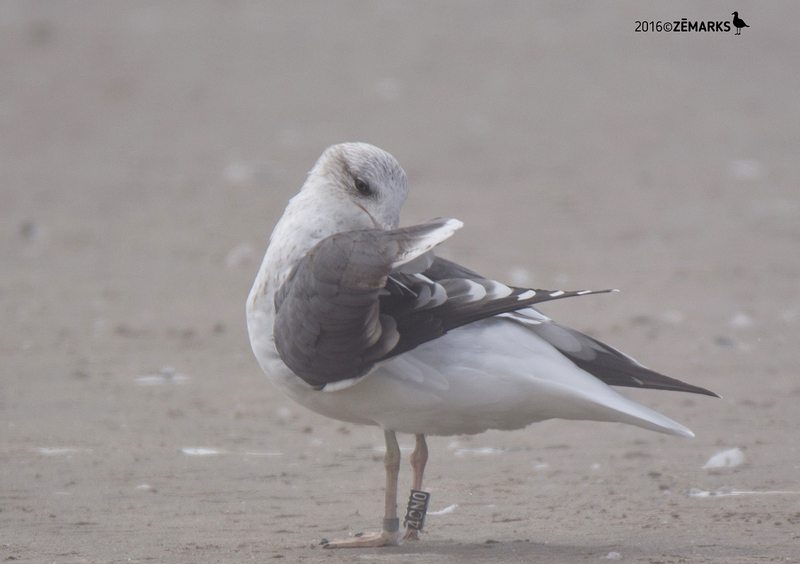 below: Lesser Black-backed Gull graellsii 4CN0 3CY, February 02 2016, Matosinhos beach, Matosinhos, Portugal. Picture: José Marques. 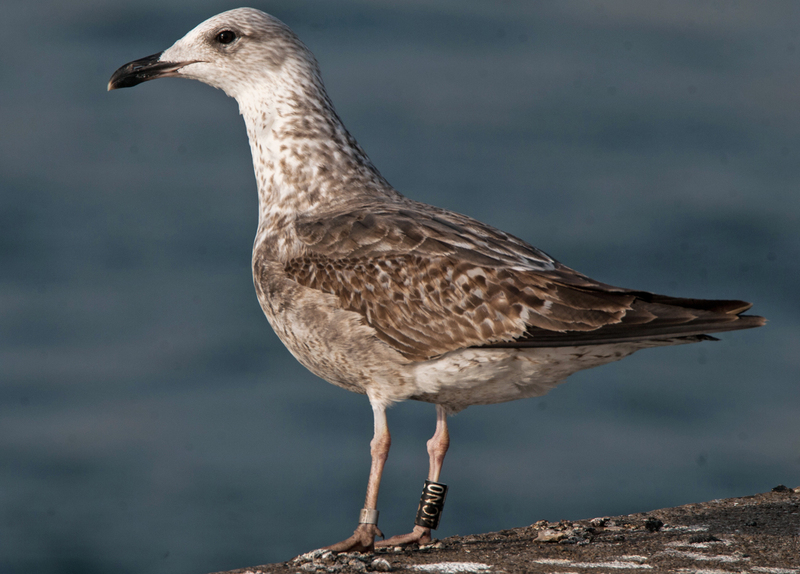 below: Lesser Black-backed Gull graellsii 4CN0 2CY, March 20 2015, Leixões port, Matosinhos, Portugal. Picture: José Marques.